If I stay in a hostel how likely is it that I am kidnapped, robbed, and/or murdered? My first night in a hostel I was in the beautiful city of Prague in the Czech Republic. After checking in and calling it a night I fell asleep clutching my bags like they contained the sacred sivalinga stone from the Temple of Doom. In my mind, I imagined that the moment I fell asleep my belongings would be relieved and I would be left with only the clothes on my back. I slept great and felt slightly foolish the next morning. When I tell people back home that I stay in hostels they look at me like IРђЎve lost my damn mind and I am putting my life at risk on a regular basis. My experiences in hostels have been quite nice overall but I feel as if there is some confusion about what a hostel is and what it is like to stay in one. Personally, I usually donРђЎt stay in dorm rooms larger than 8 beds. I typically do a 4-bed dorm so that way there is less noise and a bit more privacy than a 12 or 20-bed dorm. Sharing a room with other random travelers may not be your thing but that doesnРђЎt mean you have to skip hostels completely. Private rooms are a great alternative where you get all the benefits of a hostel with the privacy of a hotel room. 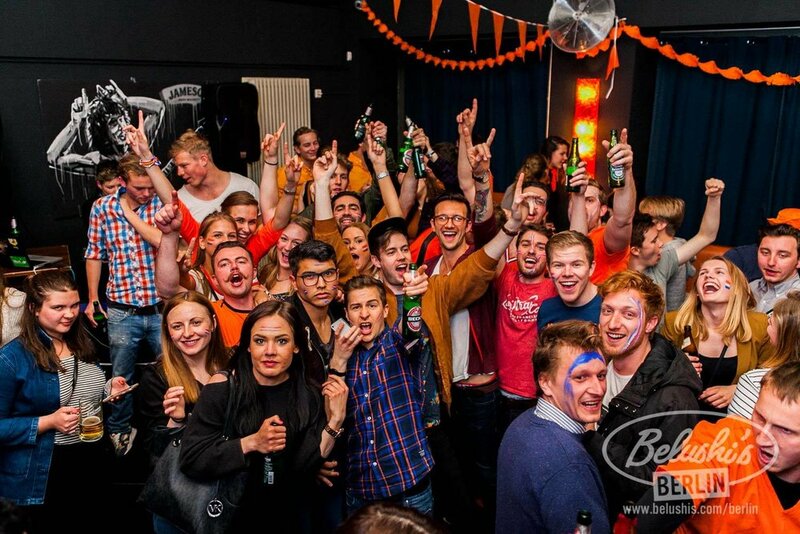 If you are looking to party hard, stay at a party hostel as you will have one of the best times of your life. You will party with travelers from all over the world who are there to do the same thing and have a hell of a good time doing it. For those of you looking to have a relaxing place to rest your head after exploring the surrounding area, chill hostels are more your speed. Lastly, if you want a place where you can unwind a little at night, socialize with other travelers, and end your night with a drink then an Рђюin-betweenРђЮ hostel is probably more your speed. It will be nothing crazy but will still be some good chill fun. Your night will likely be having a drink with friends while relaxing in the common area of a hostel swapping travel stories. There are people of all ages that stay at the chill or in-between hostels. IРђЎve met Indian families with children and Irish ladies in their 60s staying in hostels while exploring Southeast Asia so I donРђЎt want to hear the age excuse for hostels. At this point, you may be more willing to stay in a hostel, besides IРђЎve only known 2 or 3 people who have had their organs harvested so the odds are in your favor. When you arrive you will likely meet a local who works at the hostel or a fellow traveler who is volunteering at the hostel who will show you where everything is and where you will sleep. You will get a locker where you can place all of your valuables and lock them up or you can give them to the clerk to lock up for you. From there drop off your things and continue with your day. You can meet your fellow hostel mates and try to link up with them or get a few recommendations from the staff on where you should go. Since I travel alone I usually try to find some partners in crime to hit up some of the local attractions like museums, parks, or beaches. I like the companionship of people so having company from different parts of the world is a blast, even if it is only for a few days. I have met some amazing people who I have greatly enjoyed my time with. Meeting these people has given me the opportunity to hear perspectives and stories from all around the world. Once youРђЎve either found your crew or decided to venture out alone, you will likely need recommendations on where to go. Ask the staff on the best places for whatever your interests are. Want to go check out a coral reef? They can help you book the trip. Want to go on a walking tour? They have one to recommend. Just ask, they can point you in the right direction. A little bar crawl I joined in Belgrade, Serbia my first night in town. YouРђЎve probably been out and seen a few of the local sites and made some new friends. As the nightlife ramps up you will likely be invited to go out with your hostel mates or there will be local bar crawls organized that you can join. Bar crawls are not for everyone. They can get a bit crazy. IРђЎve definitely enjoyed myself a couple of times earlier on in my travels especially when I first arrived in Prague or Belgrade. They will take you on a path around the city center taking in the local nightlife scene. If that isnРђЎt your thing going out on your own can be fun if you donРђЎt mind making friends as you go or exploring the city alone. Whether you are the partying type or not, take some time to wander around your new city at night to take in the sites. Wandering around a city and getting lost is one of my absolute favorite things to do. I have stumbled on so many amazing things that I never wouldРђЎve found on Trip Advisor or Google Maps just by taking a short walk. IРђЎve stumbled on random old cathedrals in Prague, Buddhist temples in Thailand and Singapore, cat cafes in Bucharest, and great places to sit and write in Den Haag so donРђЎt be afraid to wander alone. As you return for the evening to call it a night your room will likely be full of people who have already turned in for the night. Everyone will likely be respectful of your space and that you are trying to sleep, so try to do the same. Disclaimer: If you are a light sleeper book a private room or one with the fewest people as possible. There will be noise and light and occasionally the thing that annoys me the mostРђдloud snoring! It should be legal to murder or cane or flog people in hostels who snore loud incessantly to keep up the entire dorm. At the very least they should all be put into a room where they can all snore together while everyone else sleeps in peace. A little bit over dramatic but I believe I wrote that after not sleeping an entire night due to a dorm mate who had an unfortunate issue with snoring. You get the picture. Prepare ahead of time to insulate yourself from any noise or light and you will be fine. Once you awake from a great nightРђЎs sleep you will likely want to shower and clean yourself up for the day. Unless you have booked a private room with a private bathroom you are going to have to take turns to use the shower. Almost all hostels clean them daily so cleanliness shouldnРђЎt be an issue. Bring your own soap and towel plus sandals. IРђЎve never had any cleanliness issues in a hostel but better safe than sorry. If there are any major issues with cleanliness just let the hostel staff know and they will likely take care of it immediately. Danny Laudick and Laura Hand ready to go exploring! ThenРђд.just continue with your day. Perhaps you want to rent a motorbike and explore a Thai island or book a tour of a medieval castle in Prague or explore a massive cathedral in Eastern Europe. So the questionРђд.are hostels safe? I have never had a single issue with safety or my things getting stolen. Of there is always a risk but I have had substantially more issues in hotels and AirBnBs. For example, recently in Phuket, some dude decided to break into our hotel room while we were sleeping, try waking up with someone crawling on your hotel room floor to attempt to relieve you of your bags while you sleep. That would not happen in a hostel. There is staff around to prevent this and with so many people in your room, it is unlikely anything bad would happen without a fellow traveler stepping in. This doesnРђЎt mean throw caution to the wind and book the first hostel you see. Some sleuthing is in order. When IРђЎm booking a place I look at reviews on Google and Hostel World. I look at what amenities they have and the type of hostel IРђЎm getting myself into before I book anything. Reviews for The Yard in Bangkok, Thailand. One of my favorites. If there were no issues with recent guests who reviewed the hostel, then I typically book with the best location based on what IРђЎm feeling at that point in time. What are some good hostels to stay at? I have stayed in some amazing places around the world that I am more than happy to recommend! Brix filled up while I was there and I didnРђЎt book again so I went off to explore another part of Prague. This was in the neighborhood of some of my Czech friends so it was an easy choice. Adam & Eva was quite a nice hostel with a slower pace than Brix and more of a chill vibe. If you are looking for a place to rest your head that is quiet and relaxing, this is it. It is close enough to old town that you can sleep in peace or be to the city center by walking five minutes. A couple of well-run hostels by a few former backpackers. IРђЎll never forget how I was greeted when I arrived with a friendly smile by Jason, one of the owners. They do a great job of taking care of you and making sure you have everything need while you stay there. Because of their backpacking experience, they have thought of everything you might need. They do a lot to try to bring travelers together to discuss different topics or introduce them to each other. If you find yourself in Bucharest you canРђЎt go wrong staying with these guys. Jason is the guy in the middle! Damn, I had fun staying at this hostel! I would say that it leans more towards being a party hostel but you can lay low if that is more your thing. The staff here was so kind and helpful as well as pointing me in the right direction on where to check out the nightlife. Shoutout to Tia and Marjan for being awesome hosts! (I canРђЎt remember the rest of the staffРђЎs names or I would thank them too.) When you check in you are greeted with a shot of local liquor, rakia, so you know things are going to be interesting. The nightlife here is really exciting and Belgrade is quite underrated. 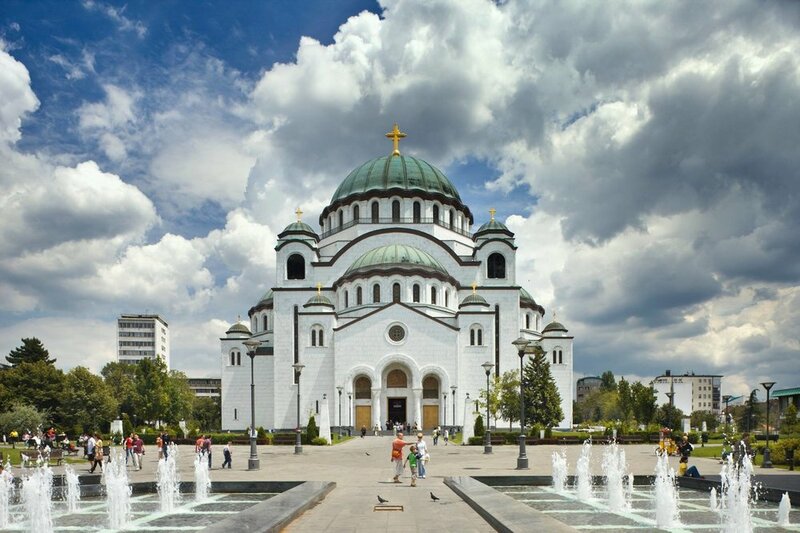 If you find yourself in Eastern Europe this is a city worth exploring and the Hedonist staff will hook you up. Side story: I was warned several times in my travels to not go to Serbia as an American. I still traveled here but was definitely a little hesitant when I boarded the plane from Romania. It turned out to be one of my favorite places IРђЎve been so far with beautiful architecture and wonderful people. If there is a place you want to visit, instead of listening to me or anyone else, do your own homework and go check out places to form your own opinion. Chances are you will have an experience of a lifetime and see a place many others wonРђЎt. One of the best places IРђЎve ever stayed, period. The location, the staff, the quality of the dorms, and the common area was the perfect level of chill and fun. 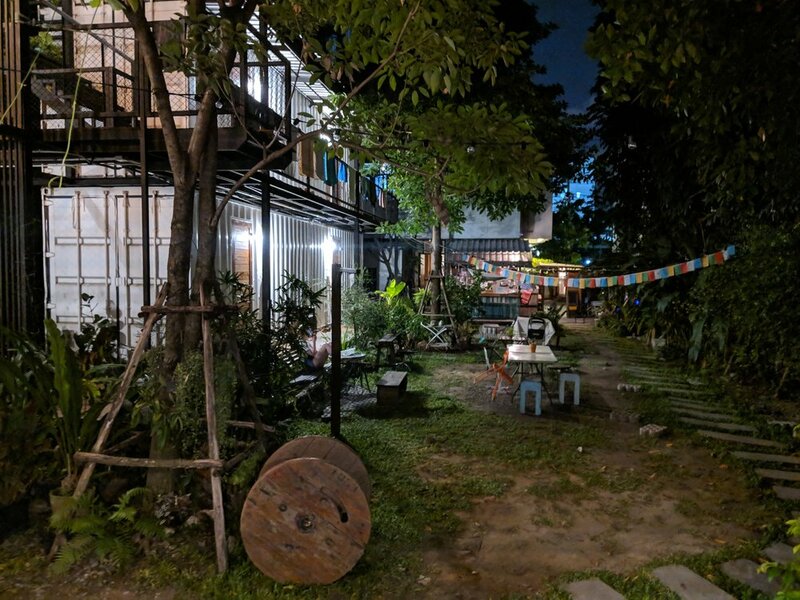 Easily the best hostel in Bangkok and one of the best in Southeast Asia. The common area is friendly and relaxing with an easy setup to meet other guests. The dorms are built into old shipping containers and were really comfortable. The staff, the neighborhood, and the companyРђдI cannot recommend the Yard enough. Phuket is a crazy place. Bangla Road and Patong Beach are basically Las Vegas on steroids. If that is your thing then please stay on or near Bangla Road and enjoy. If Las Vegas 2.0 doesnРђЎt sound like your thing than Sleepy Station is a great place to rest your head. The beds were a bit different than what I am used to but the location to Kata Beach and the seclusion from the insanity on the north part of the island made it a good hostel to crash. I needed some downtime after bouncing around a few different cities and islands to focus. I settled down here with the intention of getting caught up on working, writing, and self-care. This place has been absolutely lovely and the staff is amazing. They have a large selection of food, kayak rentals, book day trips, or book the next leg of your journey. It is only costing me $10 per night to stay in this paradise. I have had no complaints while staying here. Please visit Koh Samui and stay at Chill Inn if you need a vacation, you will enjoy it. I hope that after reading all of this the next time you travel you take a second to consider staying in a hostel. They get a bit of bad reputation but they really arenРђЎt too crazy or dangerous. The people IРђЎve met have been wonderful and have made up for any minor inconvenience IРђЎve had to experience. The relationships IРђЎve built and the experiences I have had due to the staff at these hostels and fellow backpackers continue to shape my travels in an unbelievable way that I canРђЎt express enough gratitude for. I wouldnРђЎt travel for long periods of time solo any other way. Best of luck wherever your next adventure takes you and please reach out with any other questions you have. If you are looking for pricing and how affordable traveling internationally can be, please read How to Travel Affordably Internationally. Sign up for more travel tips and updates sent to your inbox! Check out the Formula Podcast with Trevor Carlson to hear me breakdown the elements of health, wealth, and happiness on Stitcher, Spotify, or iTunes.